SRSRoot exe file now available here in the post to download it for free and install. You are going to download latest version of SRSRoot v5.1 for PC/Windows (OS). 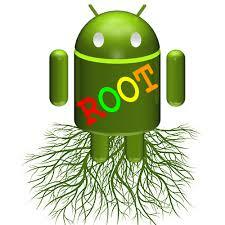 SRS Root is one of the best Android rooting software tool. With SRSRoot, connect with windows operating system OS and root your Android device. Using this, you can one click to root or un-root Android device by help of the computer operating system. It is most simple and easy rooting app for only Android models such as Galaxy s3, s2, note, note 2 and much more. Keep remember this word in your mind, on the web SRS Root tool is not available in APK format for Android mobile users. You can download only SRSRoot exe setup for your PC or laptop from our website at the bottom of this post. It is compatible with Android 1.5 to 4.2. So get exe file of SRSRoot 5.1 for your PC and connect your Android phone to let’s start to root your Android device. If you are first time use SRS Root application tool in your Windows or PC then must read these helpful lines I hope you can easily root or un-root your Android device without anybodies help. First you need to download and install SRSRoot v5.1 EXE file on your PC or laptop. After download and installing, connect your Android phone with your Windows OS via USB data cable. After connecting your Android phone, click the SRS Root setup and open it. When open SRS Root tool, this screen shoot will be appear on your PC. Now, click there on the “Root Device Permanently” or Root Device temporarily” button then this app will root your Android device. Click there on the “Unroot Device” button this application Un-root you Android device. If you face any problem in during using or more then write comment in comments box and share with me then I help you via comments. Also download and try to root your Android device; KingUser, Root Genius and CF Auto Root.